Clapboard siding is siding where long narrow boards or panels are nailed horizontally across the house. Clapboard style siding has been used on houses for centuries here in America and in Europe. 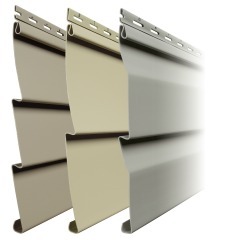 It is the most popular siding sold today. 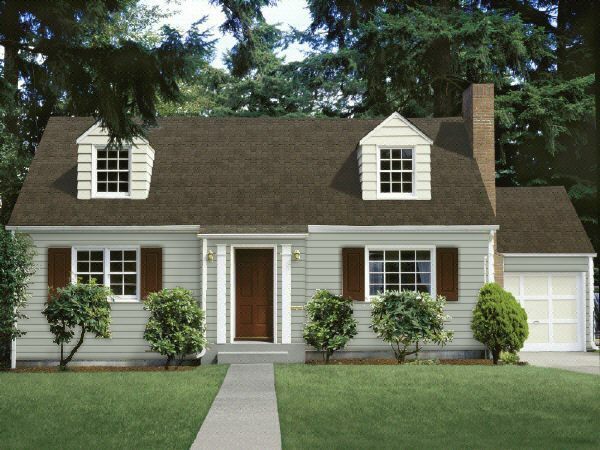 Today horizontal siding or clapboard siding is the most popular siding sold in America. Vinyl clapboard siding is made to look exactly like wooden siding and it comes in many different styles, textures, colors, lengths and thicknesses. It never needs painting, never rots, termites won't eat it and you can clean it with a garden hose. Siding that runs horizontally across your house from end to end is sometimes referred to as 'horizontal siding' or lap siding. People generally use the words clapboard, lap siding and horizontal siding inter-changeably. If you need new siding for your house, vinyl clapboard type siding offers the widest selection of styles, textures, colors and prices of any other type of home cladding on the market today. 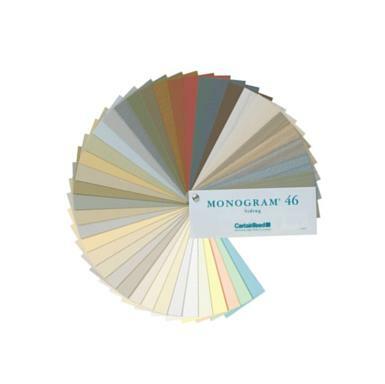 Below is CertainTeed Monogram Double 4" Clapboard Siding in yellow color. One of the most popular clapboard siding style is the Dutch-Lap style. This style of clapboard siding has a very distinct shadow line that runs along the top edge of each board or panel. It has a notch that runs along the top edge or each panel that produces a distinct look like craftsmen actually hand cut each plank or panel. Back in the olden days craftsmen actually did hand carved the notch in each wooden board. Because it required more labor it was harder to make and took much longer to carve each wooden board it cost more than regular wood siding. It was considered a premium siding that the wealthy used on their homes. 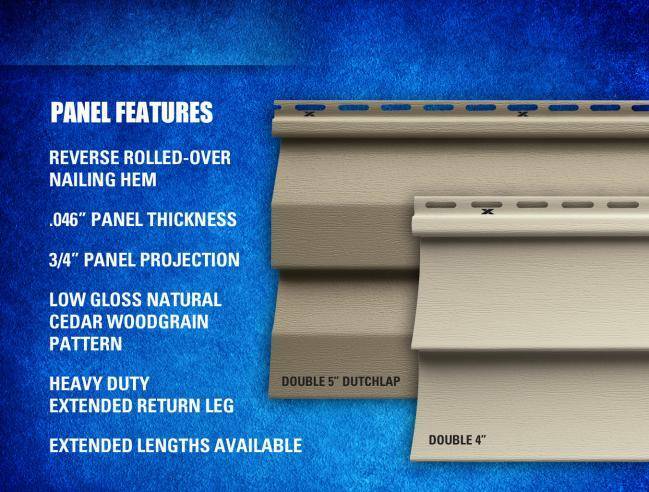 Dutch lap vinyl siding profile cut-away. Note how the top edge is shaped to create that hand carved look. The siding comes in several different textures from smooth finish to wood grained. And of course many different colors from natural earth tones to bold and everything in between. 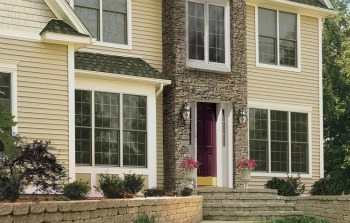 Alside Dutch Lap Vinyl Siding comes in many different styles, colors and textures. 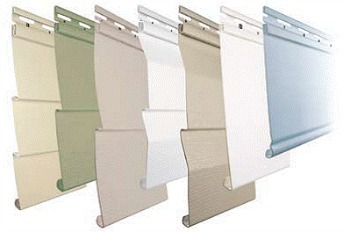 To see more information on Alside Vinyl Siding click here. It all started a long time ago when early Americans began to cut down trees and saw them into long narrow wooden boards to cover their houses with. 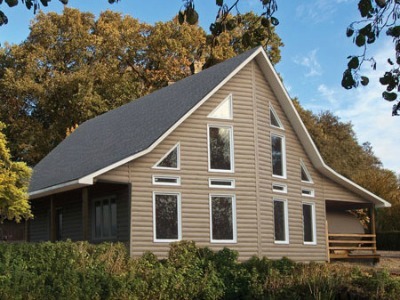 Dutch Lap Siding has a notch cut along the top edge on the board or panel that produces a distinct look like craftsmen actually hand cut a notch in each board. Back in the olden days carpenters actually did hand carve the notch along the top of each board. The difference between dutch lap and clapboard, or standard lap, is that clapboard tends to be flat, with no shadow line showing. Just like a long smooth wooden board. Vinyl siding can be made either textured to look just like real wood with deep grain lines or smooth like a freshly painted wooden board. Some homes look better with the smooth painted finish of clapboard. Some people wanted more options than just the regular siding style, so craftsmen began to hand carve notches into the wooden boards. Dutch Lap style had been around in Europe for a long time and the people from there just copied it and used it for the siding on their homes. Since it was hand carved, it was more expensive and used in better homes. To see read more on Dutch Lap vs traditional siding click here. After awhile people wanted something different from regular smooth clapboard or dutch lap so they began to carve a groove along the bottom edge of the boards. They called this style 'Beaded' siding. It was more expensive because it took longer to hand make and was considered a premium siding for wealthier people and nicer homes. Beaded Siding is where carpenters hand cut a curved notch along the bottom edge of each wooded board. This produced a distinct shadow line. Since it was hand carved it took much longer to make and therefore much more expensive to buy. It became a symbol of the wealthy homeowners. 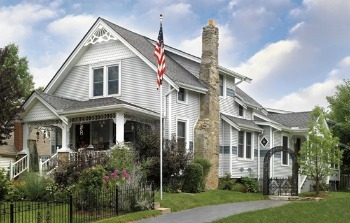 Norandex Beaded Vinyl Siding is made to capture that hand carved look of early Colonial days. It never needs painting, will not rot and looks exactly like real wood for about half the cost! Norandex makes a low gloss natural wood grain pattern that is remarkably real. To see all types and styles of homes using vinyl siding click here. Pictures of Clapboard Vinyl Siding on Homes. What is a siding 'Profile'? Smooth lap clapboard, dutch lap and beaded are all 'styles' with-in the clapboard family. This is what is generally referred to as the siding 'Profile'. Each style has several different profiles. The difference between the different styles of clapboard siding is how wide the panels are and if they have shadow lines. This is called the siding's "profile". 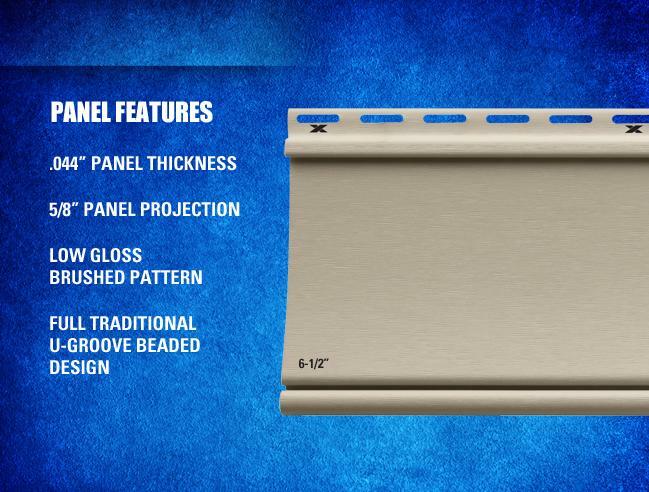 Click here to review more about Clapboard Profiles..
Each profile comes in several different grades or thickness, from economy grade to premium grade. As a general rule, the thicker the siding is the higher the quality. Clapboard siding comes in different textures ranging from smooth like freshly painted wooden boards to deep rough cut cedar texture. The actual panel or plank can have a smooth freshly painted texture or it can have a natural deep cedar wood texture, and everything in between. Some panels look like rough cut cedar and some are smooth like sanded boards. 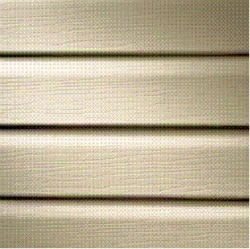 This is usually referred to as the texture of the siding. 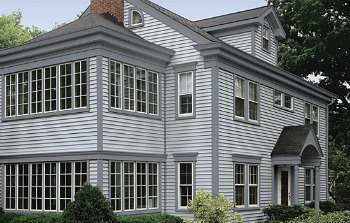 Clapboard siding was used extensively in early Colonial America. 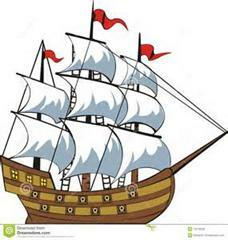 Lots of early settlers were from England where shipbuilding was prevalent. 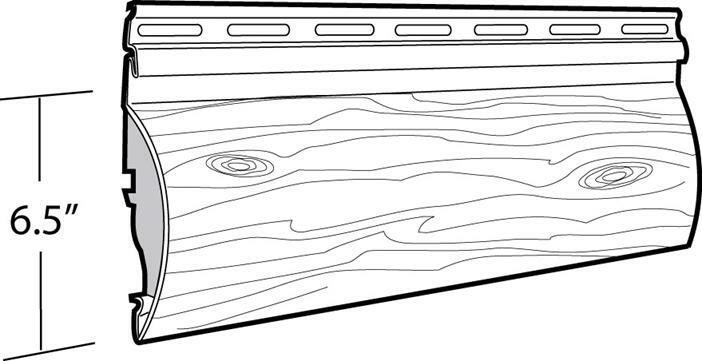 Early shipbuilders cut long narrow wooden planks and used them in ship-building. Then when they got to America they used the same technique to build their homes. In fact clapboard looks like the sides of the old wooden ships. Clapboard is sometimes referred to as 'ship-lap' siding. Want a little more history of siding, click here..Siding History. To see more Mastic vinyl lap siding click here. Vinyl siding prices run between $3 per square foot to over $10+ per square foot depending upon the thickness and quality of the siding. Vinyl siding is like any other product you buy, the better the quality the more it will cost. Most vinyl siding manufacturers make several different grades of their sidings in order to fit any budget from economy grade to standard builder grade or even a premium grade. Some premium grades of siding can stand up to hurricane force winds. The quality of the siding is generally determined by how thick the siding is. Thicker siding is more rigid, looks better, has deeper textures, holds it's color better than thinner sidings and will last longer without fading. Basic vinyl siding pricing. The average vinyl siding prices run between $3 per square foot for economy grades up to over $10 per square foot for the thickest premium grades. By adding insulation to your siding you can save money year after year by cutting your energy costs. 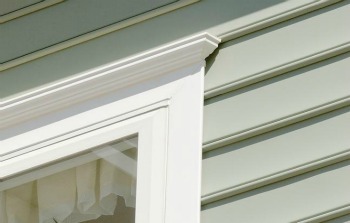 Clapboard siding is made with the color in the vinyl therefor eliminating the need for painting. Only a good washing with the garden hose is needed to refresh it. 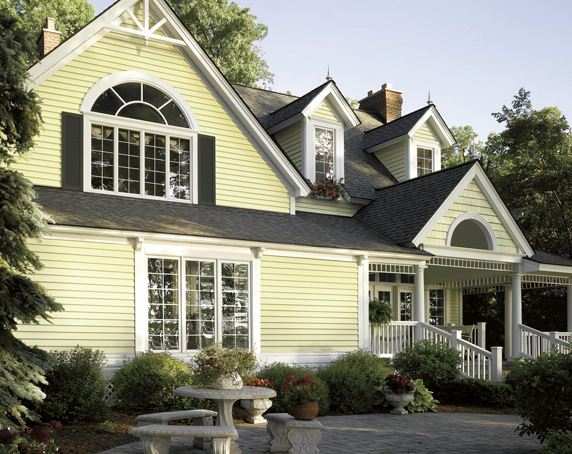 Vinyl siding colors cover the whole color spectrum. From earth tones to bright colors and everything in between. Some people choose several different colors and several different types of siding and mix and match colors, textures, and styles to come up with the perfect look for their homes. 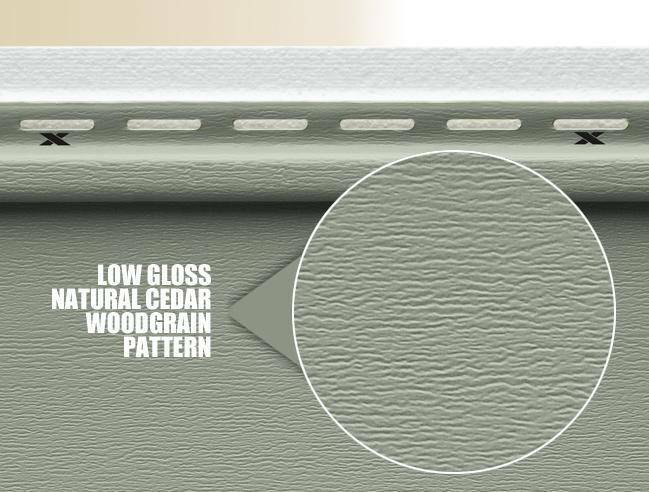 Vinyl cedar shake siding has changed the face of home improvement. Once you could only get the warm rustic look of cedar by buying real cedar. Now you have the option of getting the exact same look at about half the cost! Vinyl Cedar Shake Siding. That rustic look of real Cedar without the high cost and maintenance of real wood. Less than half the cost! Click here to see more about vinyl log siding. Used here to create this classic beautiful look. CertainTeed Wolverine American Legend Clapboard. Note how well the clapboard blends with natural stone to create a very distinct look. The horizontal clapboard siding panels look just like real wooden planks. CertainTeed's Monogram Double 4" Clapboard Siding in Oxford Blue color. A Classic Look for any region of the country. To see more prictures of homes using vinyl siding click here. Clapboard Pictures. Link to Yahoo: To see a ton of pictures of vinyl siding on all kinds of homes: click here Yahoo. 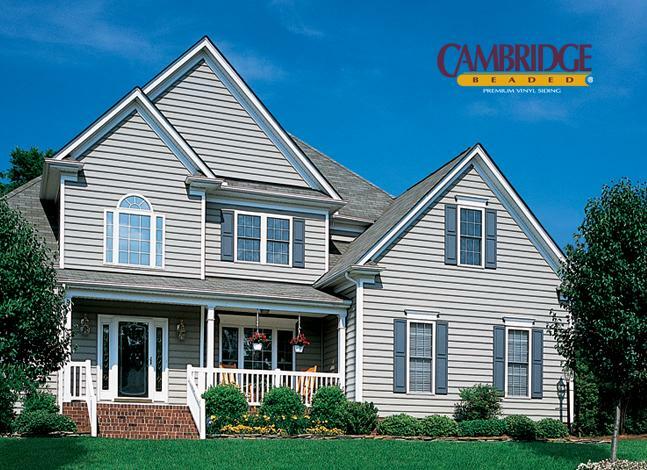 If you chose Clapboard Vinyl Siding for your home, please share your experience with us. Click here to see what other people have said about Clapboard Siding. 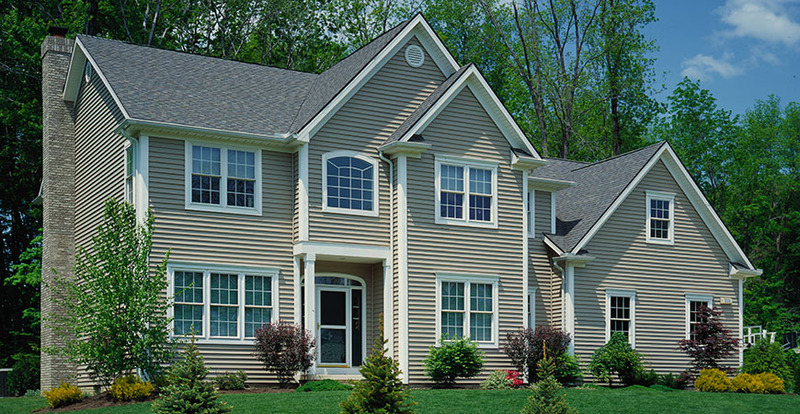 Do you have a great story on why you picked Clapboard vinyl siding? Share it! Send us your before and after pics and a short story on how you came to pick this style. To see more Smooth Style vinyl siding click here. Go Back to Vinyl Siding Styles click here.